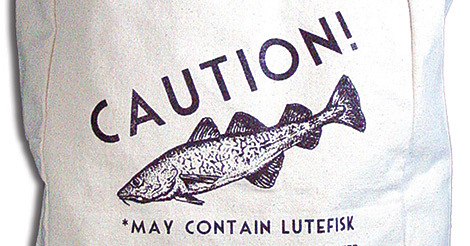 Lutefisk is mentioned in history books for the first time around 1536 by Olaus Magnus. He described its preparation in this way: "The dry stockfish [cod] is put in strong lye for two days, then rinsed in fresh water for one day before being boiled. It is served with salted butter and is highly appreciated, even by kings." Its preparation varies at different times and in different places, but this is generally how it was and is still prepared today. It was and is enjoyed all over Norway, as well as Sweden, by the both the rural and urban population.